I just love warm deserts in winters; and Apple Crumble Pie is a perfect family dish. It is delicious, easy to make and you can add several variations to suit your taste. Popular fruits used in crumbles include apple, blackberry, peach, rhubarb, gooseberry, and plum. Sometimes, a combination of two or more of these fruits may be used in a crumble, for example, rhubarb and apple may be used in the same crumble. The crumble is typically given the name of the dominant fruit in it – for example, a crumble made with apple would get the name of “apple crumble”, while one made with rhubarb would get the name of “rhubarb crumble”. To give the crumble a more extravagant taste, the topping may also include rolled oats, ground almonds or other nuts. Before I get on with the ingredients, a bit of history of this lovely pie. Of British origin, the dish is also calledBrown Betty. Crumbles became popular in Britain during World War II, when the crumble topping was an economical alternative to pies due to shortages of pastry ingredients as the result of rationing. To further reduce the use of rationed flour, fat and sugar, breadcrumbs or oatmeal could be added to the crumble mix. The dish was also popular due to its simplicity.In some parts of America a similar dish may be called a crisp. Now that the festive season is here, do try this recipe at home. I made one a week ago, and here I am with another one already. It’s a very sweet December for me. Add the chopped apples into a pan and heat on low flame. Add the cinnamon, cloves, star anise and about 3-4 tablespoons of sugar. Cover and let cook till the apples are tender. Taste the apple at this stage and add more sugar if you prefer. I like my apples in this dish soft and sweet, so I cook them a little longer and add a bit more sugar too! But remember, after this the apples will cook some more in the oven with the crumble topping too, so don’t overdo the cooking. Once your apples are done, set aside. For the Crumble Topping Add flour to a bowl and rub the butter into it softly. Add more butter if needed till you get a breadcrumb like consistency. Add roughly 4 -5 tablespoons of sugar to this mixture too. Add the apples into a baking dish and top with this crumble mixture. Coat this crumble topping evenly over the apples. Add dollops of butter over this batter. Sprinkle some sugar too. Now the dish is ready for the oven. Let this cook at around 150 degrees for 20-30 minutes. Once the crumble topping gets a brown hue on the top, the dish is ready. Serve with custard or fresh cream… Enjoy! I was excited when I got an offer to work in Bangkok for three months. But there were apprehensions too, of moving to another big city, as my earlier experience of living in Delhi had not been too flattering. Eve-teasing; an euphemism for sexual harassment or molestation of women by men in public is a common phenomenon in South Asia and unfortunately, even the authorities are quite lax about addressing the issue. Once, in Delhi, when I found myself the target of unwanted attention, I sought help from a police officer. He however refused to assist me, stating that he was not responsible for the area! That made things clear to me that in Delhi, I was responsible for my own safety. Would Thailand be any different? At the Suvarnabhumi airport in Bangkok, the taxi drivermuttered something in Thai, when I gave him the address of the apartment I was to stay in. That got me worried and my concerns heightened when the taxi eventually turned into a narrow, dark lane in a dimly lit neighbourhood and some people peevishly peered into the car. The place was akin to Malviya Nagar in New Delhi where eve-teasingis a regular occurrence, but my fears were unfounded. My neighbours assured me a million times that the area was safe at all times, even at night and in my short stay in Bangkok, I found this to be true. I often saw motorbikes zipping through the streets, mostly with female passengers sitting behind uniformed men and women with security numbers patched onto their dresses.It was a relief for me to always see women queuing up to ride with the motorbikes outside the Bangkok Mass Transit System stations. Traffic guards and police were omnipresent and approachable. At times, when I lost my way while trying to find an unfamiliar place, there were always other women in public spaces in the early hours.Taxis were always on the streets as well, making it easy for women to secure a ride at any hour; as added security the drivers had their profile details hanging from the front seat.It was during these times that a constant thought crossed my mind; perhaps India’s Look East policy could well incorporate some of the significant steps that its near neighbour has taken to improve security and safety for women. An example is the Bangkok Mass Transit Authority’s “Orange your journey campaign”, which was supported by UN Women and encouraged passengers to report verbal assaults.The authority also initiated the “Pine Apple Project”, training staff to better understand sexual harassment and the tools that can be used to tackle it.Bangkok also has one stop crisis centres, which provide psychological assistance and free medical services as well as legal advice. Staffed with nurses and doctors, they also have agents from the Royal Thai Police, the Office of the Attorney General,the Ministry of Social Development and Human Security, as well as NGOs and emergency shelters. These centres provide psychological assistance and free medical services as well as legal advice.At the national level, Thailand’s Ministry of Social Development and Human Security also runs a 24-hour online service called “Prachabodhi” that has been widely advertised and offers holistic assistance to women of all nationalities suffering from violence. Often debates concerning women’s safety and empowerment in India fade out within the vast gap that lies between traditional and modern society. Due to increasing international media attention, India, to some extent, has been able to bring the issue of women’s rights to the fore. But there still remains a lot to be accomplished in this area. Eliminating gender discrimination and preventing violence and harassment of women in public spaces, would require political will and great perseverance by civil society. But as Bangkok shows, it can and it must be done. 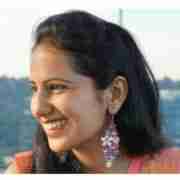 Ms Pratibha Singh is a researcher and writer on women and conflict in South Asia. She is currently pursuing her master’s degree at the Willy Brandt School of Public Policy, University of Erfurt, Germany. A version of this article appeared in the website of AsiaPacific in October 2015.